No matter what your child’s age is, a little creativity should get you to create that perfect room to suit their needs and preferences. Remember that designing a room is more than just choosing the right colors, patterns, and furniture pieces that go together, the setup of the place so that it caters to the needs of the children is of utmost importance. Ensure that they have more than a bed, closet, or chair; this will spur creativity in artistic options that make them think outside the box. Any parent who is faced with the grueling job of starting from scratch might find this task a little too overwhelming. With a little guide – and the little help of you little one – you should be able to pick out the necessary items that will provide your child a haven where they can enjoy and bask in during daylight play not only use during the nighttime. Although adding some accents to update an existing room can be easy enough, parents should be careful on the additions and upgrades that they will give the room. Children are growing and maturing rather quickly and so the necessary equipment and furniture pieces must carefully be chosen to jive with this. Whether you are looking to fully refurbish your child’s sanctuary or are only looking to provide it with some much needed improvements, here are some design ideas where you can take inspiration from, for those varied nooks and crannies in the entire space. Do not forget to include your child in the whole process of setting everything up. Remember that they are the ones that will be staying in the room most of the time. Therefore, the end product should be something that they truly love. Built-in bunk beds would be a very good option if you desire your two boys or girls to share a single bedroom. Give it a seaside feel by bringing in old yet vibrantly-colored bedding to add life to the simple furniture you may have purchased that allow versatility. Use a palette of nautical colors of white, blue, and red for that masculine effect. The aptly named Emeco 11 Navy Chair, with its rich red shade, should make for that perfect seating situated right beside the window, covered in the quirky texture of grandmother’s handmade quilt. Plus, it would make for a good splash of color in the sea of whites and blues. If you have a family with many children, practically would take center stage as you choose room furniture pieces and designs that will be passed from one younger sibling to another. Equip your girls’ pink and flowered shared bedroom with repurposed beds so that it can easily be converted should the younger one grow out her crib. This should spare you the need to purchase new beds should that time come. What happens to the old crib then? Hand it down to the next. Equip that lonely corner of your room with a Babyletto Madison Swivel Glider in Ecru so you can rock the little one to sleep at night while you sit back in style and comfort. Put in shelves on one side of the room to give your little boy a space to position his trophies and picture frames. Such areas in his room will serve as a testimony of his growing progress as he further hones his knowledge and skills on various areas of education. It will also be a way to show off his talents in sports and in other competition that he has shown in interest in. Equip a table underneath it to serve as his study or crafts area and pair it up with a sturdy yet comfortable seating. The KidKraft Avalon Chair in Apple should make for the perfect chair to sit on as your child solve his maths or draw his favorite cartoon characters. You might think that mixing a variety of patterns and colors would make for a chaotic bedroom space for your child. However, when done right, this can give way to a happy atmosphere that will spark their creativity. Bathe the room with striped curtain panels and paint the wall with stripes and grosgrain ribbon. 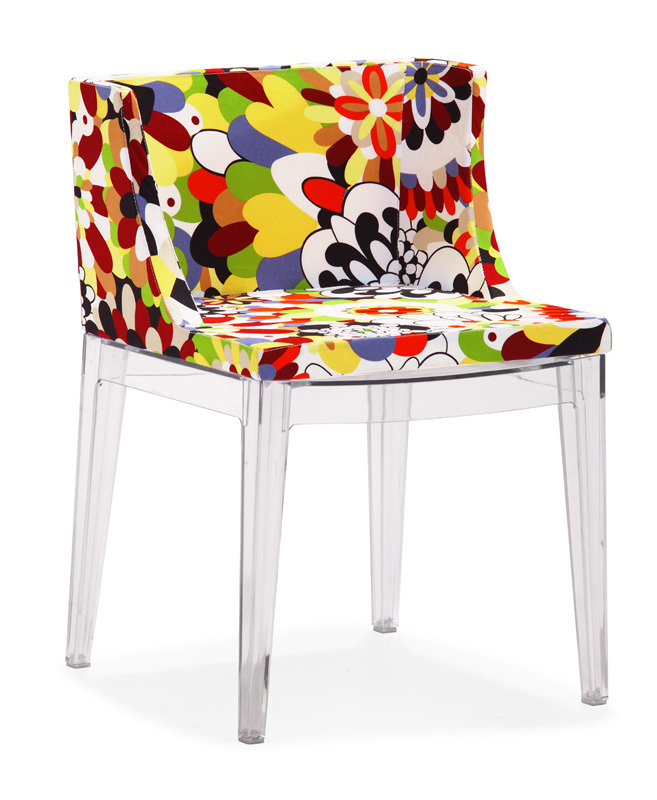 To complement the room’s quirky look, the funky mixture of patterns and colors in the Zuo Modern Pizzaro Chair in Multicolor should do the trick. Add some balance and make sure to tone out some parts of the room. A bunk room would be the perfect solution for big urbanite families living in cramped living spaces. Stack the beds and provide a window and adequate lighting for each bunk bed. This way, each child will still have their own sanctuary to study or read in solitude despite sharing in a room with their siblings. A good benefit to this style of stacking up beds is the space that it creates which would be very spacious and conducive for playing. Equip the room with a big seating to gather your child in for stories and talks just like the Jennifer Delonge Muse Child Sofa. Its rich hue should something that will easily match the interiors of the room. A popular saying goes “a girl can never have too much pink” and this is exactly what this room design is all about. Bathe the walls with a light pink hue and equip the bed with soft pink sheets and quilts. Tone up the overload of pink with plain and light hues like that of pearl of white. And since you are already at it, throw in another pink pouf in the form of theJennifer Delonge Moroccan Poufs for added seating. This plush sitting would make for a great spot for your child to lounge in as she reads her books or watch her favorite show. It can even serve as a great ottoman for you to hang out! For your older boy, a space that it overly decorated with hues and patterns just would not work anymore. For most of them, they would just desire a place where they can lock themselves in to relax and unwind. Fill in the space instead with his favorite items like his baseball gloves or his old childhood toy to spark up memories. Add a little graphic touch to the simple look that you are creating by furnishing the room with a chair with a bold pattern just like the Jennifer Delonge Luxe Child Chair. Its zigzag pattern is available in a variety of hues to match the room décor. Provide a space in one corner of the bedroom that will be good avenues for just about any kind of child recreation. From tea parties to art shows to musical performances, create this as an area for your child where she can hone and show off her creativity and talents. You can even put up a bulletin board where she can hang her most recent drawings and school awards. Equip the space with seating where the child can comfortably create her drawings and school work. The Teamson Design Kids Under the Sea Children's Chairs, with its fun design, should be perfect to further get their imagination running. Pair it with a good table and she should be all set for doing that next masterpiece.